ABC earned the TripAdvisor Certificate of Excellence for 2017 & 2018! 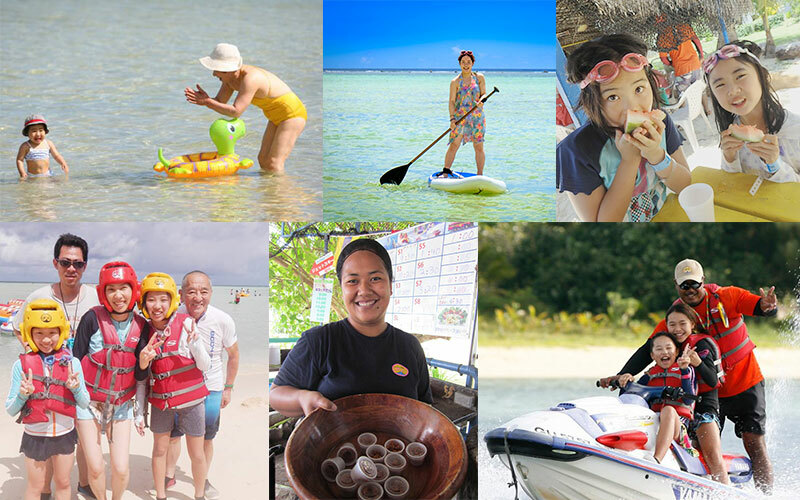 Alupang Beach Club is Guam’s premier Marine Sports company which is has been locally owned since 1987! That is 30 years of experience! 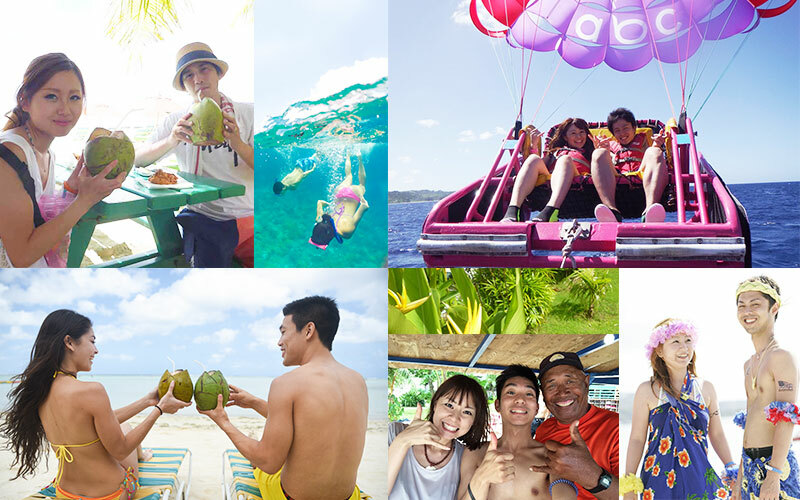 You can enjoy Parasailing, Jet-skiing, Dolphin watching, Banana boat tours, and much more. The tours are not only fun and exciting, but they are safe and incredibly value-packed as well! We have FREE transportation service available to and from your hotel. Look for our pink bus to pick you up and drop you off. Why wait? Make your reservation now! All packages include "Super Beach Resort” come with all-you-can-eat lunch and beach Activities. Also you can relax on the beach while waiting for your main activity. Our friendly staff can support your stay and keep an eye of your safely stay. Please spend special day at Alupang beach club (ABC). Approximately 1 hour and 30 min. Alupang Beach Club is the exclusive provider of the Aerial Recliner system on Guam and the Marianas! From children to super seniors, you can enjoy parasailing with the safety and experience that comes from ABC’s 30 years of operations. 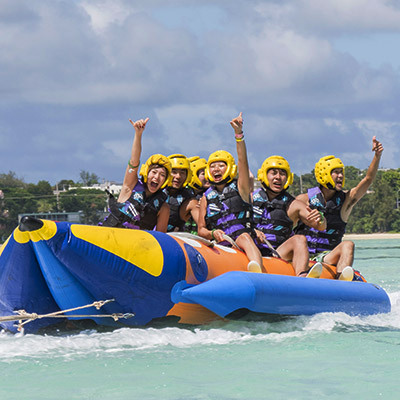 You will be riding approximately 150 feet above the beautiful blue sea while experiencing a breathtaking scenic view of Guam’s capitol city Hagatna and the Beautiful East Hagatna Bay. 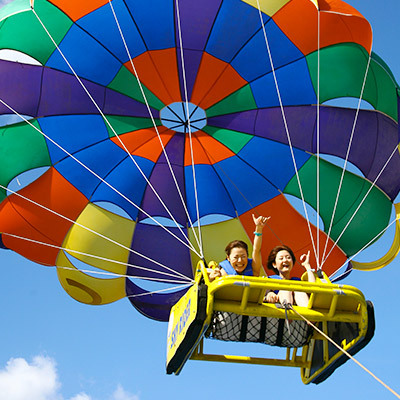 Parasailing with ABC gives you a bird’s eye view of the beauty that only Guam can offer. Observe a majestic pod of Dolphins! Approximately 3 hours and 30 min. This is one of ABC’s most popular activities where you can observe majestic dolphins in their habitat. 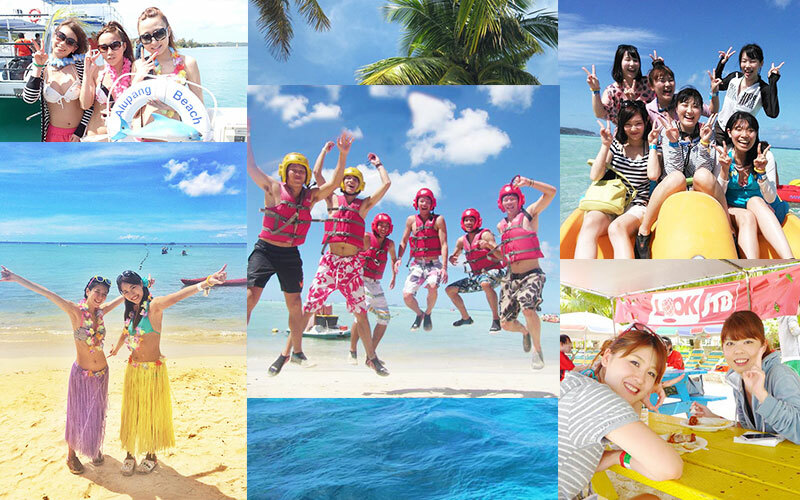 ABC is the most experienced and popular Dolphin Tour on Guam! During the tour you can expect to see Guam’s resident spinner dolphins as well as their cousins the bottlenose dolphins. Their curious and friendly nature brings them close to our boats, where you can observe their playful and jovial nature! 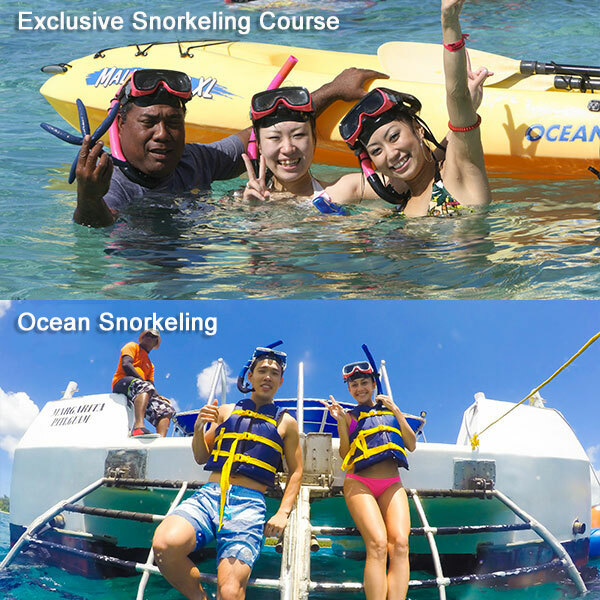 If time permits, you can enjoy Ocean Snorkeling and Bottom Fishing as well. ABC’s unique twin tube banana boats are specifically designed for Guam’s waters. 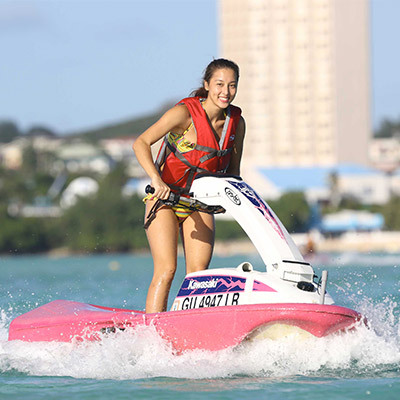 You will be zipping across Guam’s beautiful waters at high speeds. Hold on tight and enjoy the ride! Ride your own Jet Ski! You can enjoy your very own Jet Ski at ABC. You can stand up or sit down. At ABC we have taught over 1 million people how to Jet Ski. This fun and adventurous tour will take place on our special course inside the East Hagatna Bay. Children age 6 through 13 will be accompanied by one of our qualified and experienced staff members. 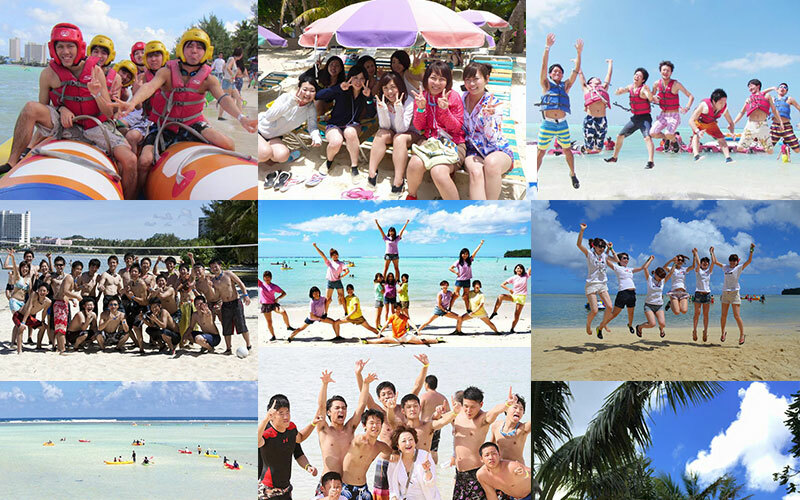 ※ ABC’s Super Beach Resort comes included when you purchase ANY of ABC’s activity packages. 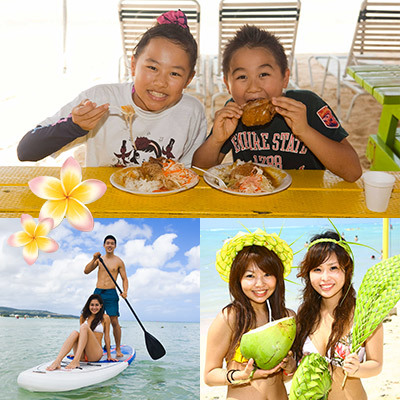 ABC’s Super Beach Resort also includes an All-you-can-eat lunch buffet and 12 different kinds of beach activities. ABC facilities (such as lockers and beach umbrellas) are also available throughout the day. Enjoy your stay at ABC’s comfortable Super Beach Resort. 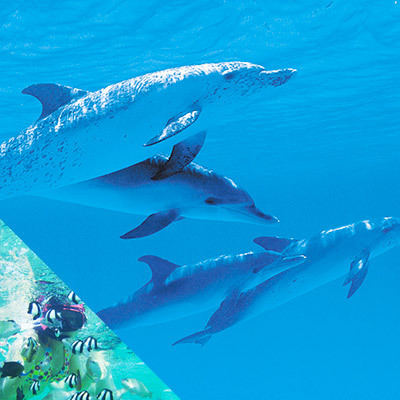 ※ Snorkeling Tours are included in ABC’s ”Super Beach Resort". 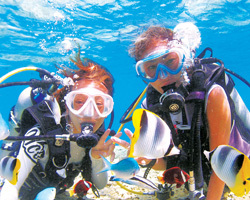 Ocean snorkeling is also incorporated into ABC’s “Dolphin Watching Tour” when time and weather permit. Only ABC has guided snorkeling for free. Even first timers can experience snorkeling safely and comfortably. 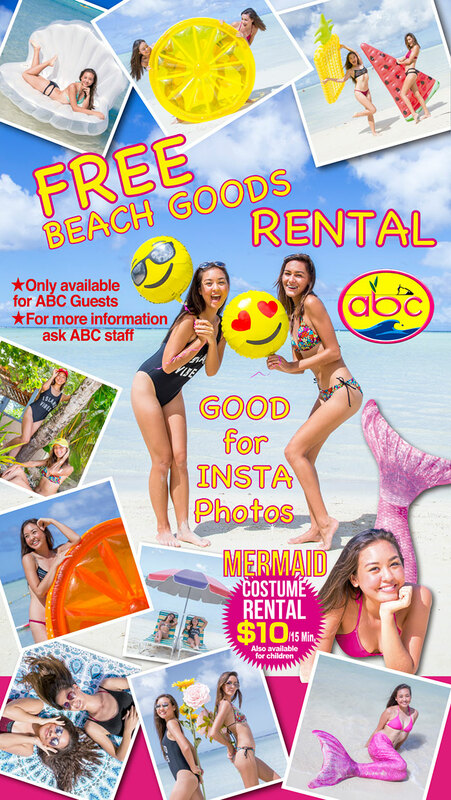 When you purchase any of our main activities at ABC, you will have the opportunity to purchase any of the following activities at a discounted price! These discounted prices from our industry partners are only available with a purchase of ABC’s package. Would you like to dive in the beautiful blue ocean? This beginner course is an excellent introduction to the basics of scuba diving. You will experience a fun and serene world of underwater diving among some of Guam’s native marine life. 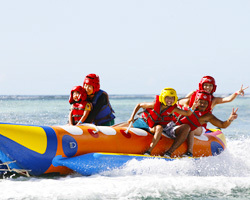 The Kids Banana Boat Tour is offered as an additional package based upon availability. The best part about this tour is that Adults and Kids can ride together to have a fun family adventure! It is only offered at ABC’s Beach Front Facility. Please ask any of ABC’s friendly staff on the day of your tour.